Announcing the Fluid Power Engineering video! 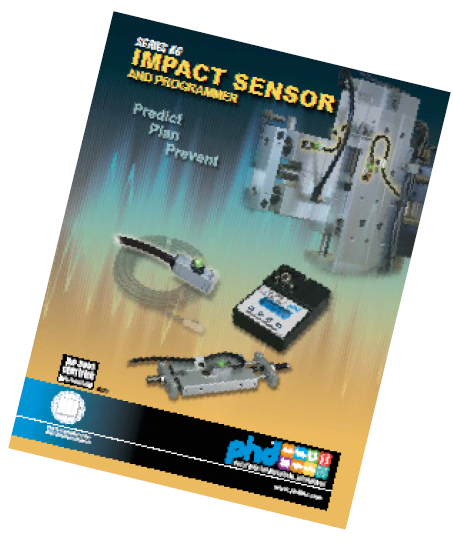 To kick off 2013, PHD is excited to release a new impact sensor! 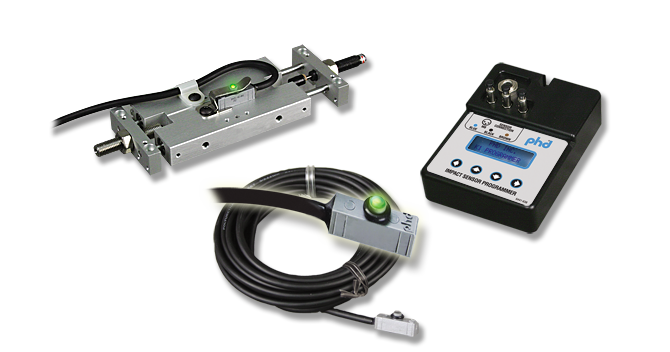 The Series KG Impact Sensor and Programmer provides predictive maintenance and monitoring of equipment performance. Be sure you check out this new product! Also, be sure to take a look at our accompanying interactive animations featuring the Series KG Sensor and Programmer and see how they can help your plant avoid downtime and costly machine crashes. To your continued automation success! Visit phdinc.com/kg for complete product information! Have you ever experienced product loss or production downtime due to damage caused by excessive impact of a fluid power actuator or other mechanical device? Have you ever wished there was an inexpensive way to monitor and safeguard your equipment? Take a look at PHD's latest animation to learn how we can help with this exciting new device. Check out PHD's learn.phdinc.com/kg site to see these and other exciting and informative product demonstrations! Take advantage of this unique free offer now and discover what others already know... Why the best use Bimba! Bimba has a new program designed specifically to help stop the guesswork and identify the cause of cylinder failure. Visit www.bimba.com and click on the Learn More link on the graphic above. From the next page click on the highlighted link to be directed to a short form that will allow you to explain why you would like to replace this competitor's cylinder and describe how it is failing. The form will be emailed to our Service Center who will create an RGA number and email it to you to track the return. Once received, the competitive cylinder will be analyzed by our Quality Assurance department in an effort to determine why the cylinder has failed. If, based on our analysis, a standard Blue and Improved Original Line will possibly solve the problem, our Service Center will contact you with our findings and supply a sample at no charge. If our analysis is inconclusive, or non-standard design modifications are required to extend the life of the cylinder, our Service Center will contact you to explain our recommendations. And the Mac Valves Distributor of the Month Award for January 2013 goes to... Fluid Power Engineering - x2! It's an exceptional day here at FPE. For the first time since Mac Valves began awarding a Distributor of the Month in the mid 1980s, FPE is the recipient of TWO separate Mac Distributor of the Month awards in the same month. During the month of January, FPE's Scott Porter and Scott Nielsen both received this prestigious award. FPE's Joe Judge also deserves an assist and a mention, since the award won By Scott Porter was an indirect result of Joe's success a few months back. We're not sure if a distributor has ever won two awards in the same month, but if so, it's exceedingly rare. The recipients of this award retrofit machines or come up with alternative solutions for manufacturing plants. Their solutions can eliminate a wide range of problems, increase efficiency and save FPE's clients big money. Congratulations to Scott Nielsen, Scott Porter and Joe Judge!! !